This issue brings the first in-depth details of the new three-year contract for the MSA British Rallycross Championship and the British Rallycross Grand Prix. We also explore the success that is the Swedish ERC round at Höljes, the best round of the European championship. 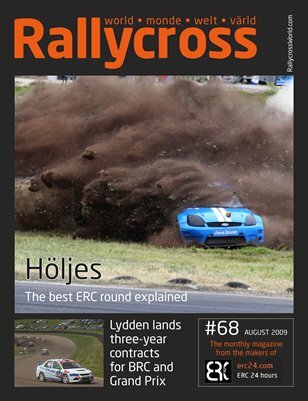 And there's the essential Rallycross World diary for July 2009.